The variegated Kiwi Fruit. Ornamental only. Height to 2m. Full sun or part-shade. Winter dormant. This is a deciduous climbing vine. 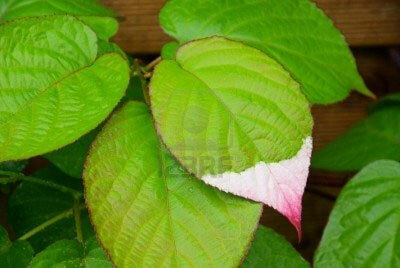 Heart shaped leaves with green and pink flecks through them.